With birthdays in January, February and early April, our household has fairly sparse pickings for birthday outings. We are mostly limited to indoor activities, or getting cold and wet. So when the weather forecast for Nathan’s Daddy’s birthday suggested sunshine we immediately searched for an outside adventure for the day. 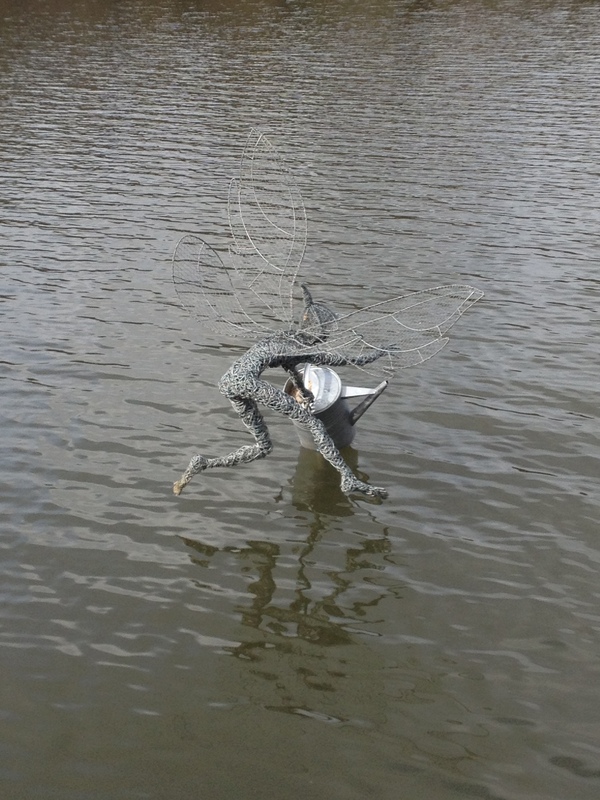 Friends had recommended Trentham Gardens near Stoke on Trent so we checked the website for opening times etc with it being Easter holidays. Open 9am-6pm from the 30th March: we packed our bags and headed off to see what we could find. We arrived about 10am and loaded up the stroller with all our kit: lunch box for Nathan (we didn’t know if we could get anything safe for him), water-proofs for myself and Nathan’s Daddy, blanket & rain-cover etc. We paid our entrance fees (£9.70 per adult, under 5’s go free) and started off on the 2 mile plus lake walk along the fairy trail. 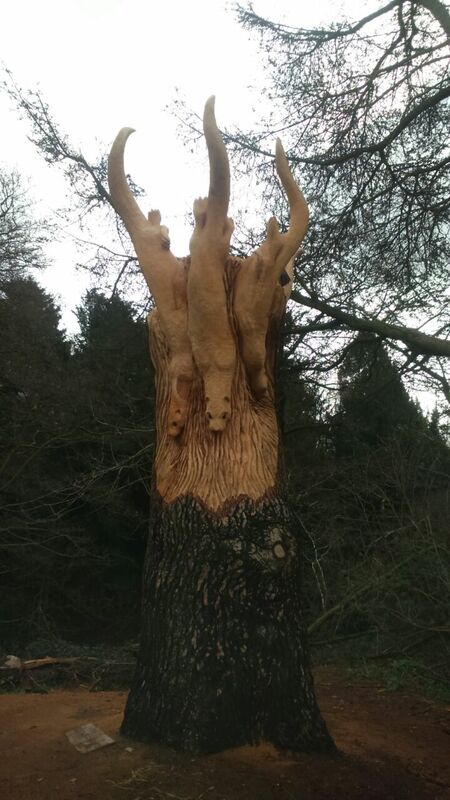 We stumbled upon a beautiful tree carving on our walk called ‘Diving Otters’ by Andy Burgess, it’s perfectly set in the woodland and is a marvellous use of an old tree. 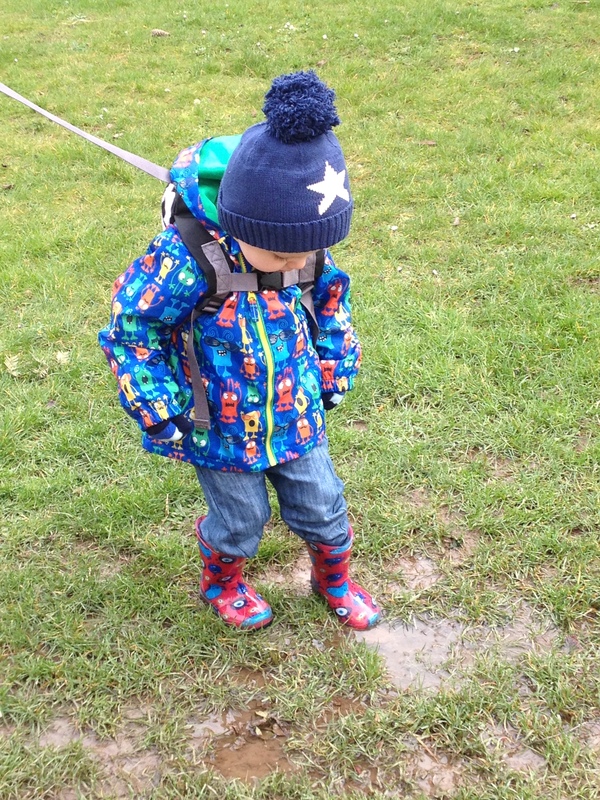 Nathan really enjoyed his walk through the many puddles along the footpaths, the surface is good but it had rained so much the previous week that the ground either side was very muddy. We walk alongside the miniature train tracks, which wasn’t running until the next day (Good Friday), a little disappointing given that it was the school holidays. The boat cruises up and down the lake weren’t operating either. We felt it was a bit short-sighted of the estate, especially as the sun was shining and a trip on the lake would have been spectacular! We continued to the tip of the lake, dodging the Gnats hovering over the puddles, and looking back down the lake is a stunning sight. You can also take a rowing boat out on the lake, have a cup of tea at the Lakeside cafe, and watch the various wildlife including Herons from the bird hide. It was at this point that Nathan’s legs got a bit tired and he decided to continue the journey in his stroller (and have a nap). You walk past the outer fencing of Monkey Forest on the far side of the lake, somewhere we took our friend’s daughter when I was pregnant with Nathan. It too is well worth a visit and we look forward to taking Nathan when he’s a bit older and not so likely to want to hug a monkey! We ventured to the Trentham Garden Centre just outside the garden gates for lunch, it’s your standard garden centre and serves its purpose well. Nathan enjoyed a run round it before sitting down for his lunch. In hindsight we should have enjoyed the quiet of his nap at the Italian Garden Tearoom and stayed there for lunch too. We had a post lunch walk around the shopping village, it has a good number of log cabin style outlets of various shops including Yankee candle, The Works, L’Occitane, Cotton Traders and Tog 24 amongst many others. It’s well laid out but would benefit from a coffee cart or two (there are several coffee shops/tearooms to sit in but nowhere to just grab a drink on the go). The little craft shops and galleries have some nice pieces in. It was a pleasant walk in the sunshine whilst digesting our lunch before we headed home. They are doing lots of work to the estate to turn it back into the masterpiece that it originally was when Lancelot ‘Capability’ Brown first designed it in 1758 in order to celebrate the 300th anniversary of his birth next year, and to mark the Queens 60 year reign with a ‘Diamond Wood’. It doesn’t however affect the spectacular views and atmosphere of this lovely lake and woodland. We enjoyed our walk very much, and views from either end are wonderful. 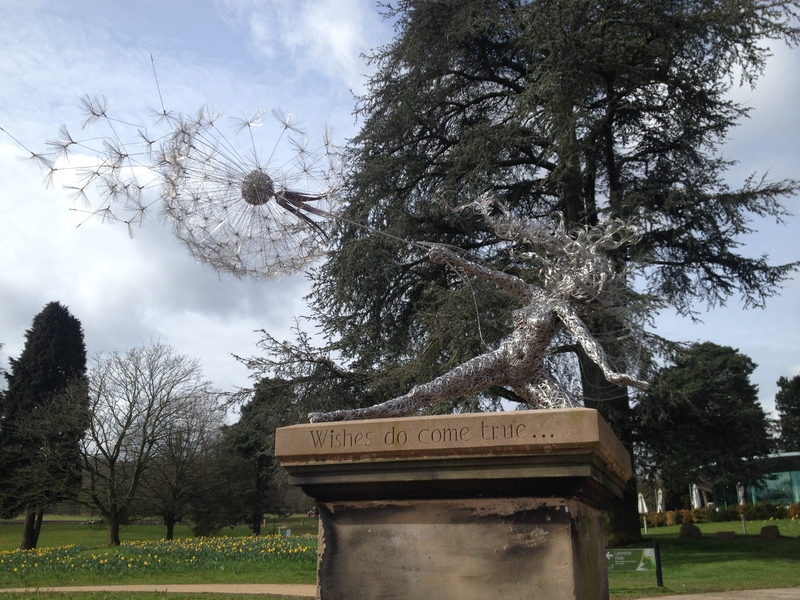 We will definitely be returning to Trentham Estate and Gardens very soon. 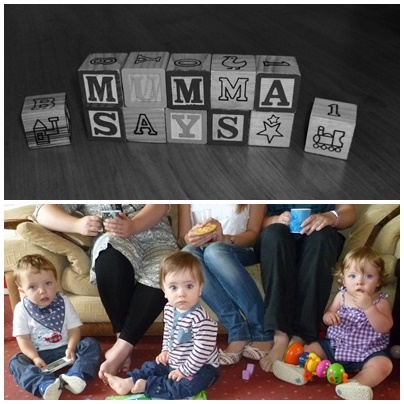 This entry was posted in Babies, Reviews, Toddlers and tagged days out, fun, Kids, outings, review, toddlers, Trentham Gardens, visits. Bookmark the permalink.